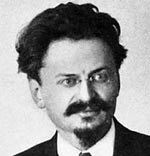 Leon Trotsky (1879-1940) was a Russian Marxist and leading figure in the Russian Revolution of 1917. 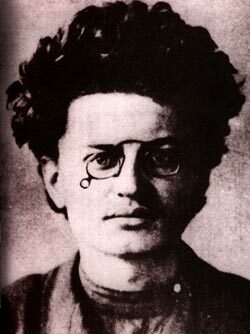 Second, only to Lenin, Trotsky was a key figure in the Russian civil war and the formative years of the Soviet Union. After Lenin’s death, Trotsky was outmanoeuvred by Stalin, and he was expelled from the Communist party and Russia. In 1940, he was executed, on Stalin’s orders, while living in exile in Mexico. Leon Trotsky was a committed Marxist – dedicated to the overthrow of Capitalist systems he saw as inherently unjust. He was also an internationalist, seeking a worldwide Communist revolution. 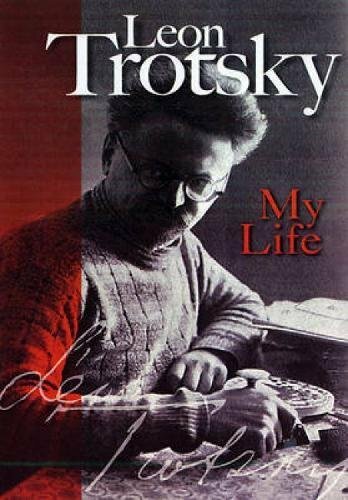 To some Marxists, Trotsky is an icon of true Marxists principles and someone who would have avoided the worst excesses of Stalin’s dictatorship. He has been criticised by others for promoting internal repression during the Red Terror – and making the Bolshevik party increasingly authoritarian and intolerant of criticism – a repressive organisation which would ultimately be used against him by Stalin. 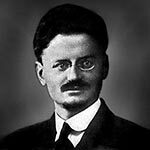 Trotsky was born Lev Davidovich Bronshtein on November 7, 1879, in Yanovka, Ukraine, the Russian Empire. His family were relatively wealthy farmers. His father was of Jewish origin, but the family did not practise the religion. Aged nine, Trotsky was sent to a Jewish school in Odessa, where he gained a basic education and wider perspective on life than the rural farm of his parents. Aged 16, he became interested in revolutionary politics. His politics emerged from the stark inequality of Russian society and the absolute power of the Tsarist government. Trotsky began to partake in political agitation – printing and distributing leaflets among industrial workers and students. In January 1898, he was arrested with 200 members of the Russian Workers Union and imprisoned for two years. In a Moscow jail, he read Lenin’s book “The Development of Capitalism in Russia”, and this evolved his political views to support a revolutionary form of Marxism. In 1900, Trotsky married a fellow Marxist Aleksandra Sokolovskaya. However, the couple were exiled to Siberia because of their political views. The couple had two daughters born in Siberia. His wife, Sokolovskaya, would later disappear during the Stalinist purges. During this period, the Russian revolutionary movement was split between different factions. Notably, the Bolsheviks, led by Lenin, and the Mensheviks. Bolsheviks were more uncompromising – arguing for a small, highly disciplined revolutionary party, which would seek a ‘pure’ Communist revolution. The Mensheviks were more liberal, supporting efforts to work with Russian liberals and promoted a wider more democratic party. Trotsky initially sided with the Mensheviks, much to the disgust of Lenin who called him a ‘Judas’. However, Trotsky had some sympathies for the Bolshevik aims and spent many of the pre-war years trying to find common ground within the two different factions. He called himself a ‘non-aligned social democrat’. During the 1905 Russian Revolution, Trotsky returned to Russia where he became a leader of the Mensheviks. Trotsky soon rose to prominence and was elected a representative of the Soviet Council of workers in Saint Petersburg. Trotsky gave powerful speeches to the workers of Saint Petersburg and helped to increase the circulation of the Russian Gazette, a sympathetic paper. The Revolution of 1905 appeared to gain considerable popular support, but the Tsarist government were determined to crack down, and Trotsky along with other leaders was arrested and he was exiled again to Siberia. On route to Siberia, Trotsky escaped for a second time and fled to Vienna, where he worked on the paper ‘Pravda’. He also wrote anonymous pieces for Russian papers. At the outbreak of the First World War, Trotsky opposed the war, causing a break with some Bolsheviks and European social democrats. Trotsky, more than many other Marxists, believed in International Socialism and saw the struggle in terms of class. Trotsky saw nationalism as a distraction from the real struggle between the proletariat and the capitalist class. Trotsky spent the First World War in Switzerland before moving to France and Spain. However, his anti-war stance caused him to be expelled to the US. 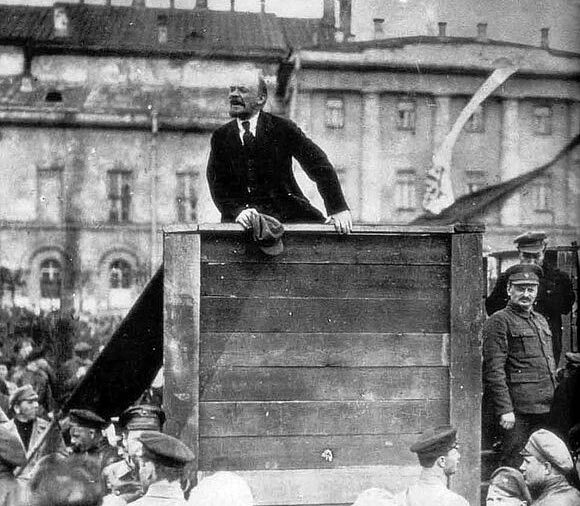 The February revolution of 1917 saw the disposal of Tsar Nicholas II, and this encouraged Trotsky to return to Russia where he became involved in the revolutionary politics of the time. He became closer to Lenin and the Bolshevik position of advocating revolution. Trotsky was a leading figure in the November uprising in Petrograd. He successfully led efforts to repel troops still opposed to a Bolshevik take-over. His actions received praise from Stalin. Lenin speaking with Trotsky at the side. Trotsky was later edited from this picture when he fell from favour. He also supported Lenin’s attempt to deny power-sharing with other Socialist parties. His actions and popular support helped Trotsky become the second most influential Bolshevik and a charismatic figure amongst workers and party members. After the Bolsheviks came to power, Trotsky was appointed People’s Commissar for Foreign Affairs. He had the difficult task of negotiating the end of the conflict with Germany. As an internationalist, Trotsky wanted to avoid signing a treaty with the imperial power of Germany. He hoped Russia could ferment a Communist revolution in Germany. However, by Feb 1918, it appeared no revolution was forthcoming, and the German army restarted military operations against Russia. Trotsky resigned his position to allow Lenin to reluctantly sign Brest-Litovsk treaty which was a humiliating treaty for Russia, due to a loss of territory, but Lenin felt the new Soviet government had no option. The new Soviet government faced civil war, with substantial anti-Communist forces determined to overthrow the Bolsheviks. The ‘White army’ attracted support from overseas and many of the best Russian military officers; the situation was dire for the new Bolshevik government. Trotsky was put in charge of the Red Army. He pursued conscription and strict military discipline. He rejected ‘democratic’ versions of the army, willing to promote officers from the old Tsarist army who had more expertise. Due to this, his military approach was criticised for betraying Socialist ideas. Trotsky also promoted an increasingly ruthless approach to military and civil matters, which involved suppressing dissent and advocating a form of “Red Terror” to strengthen the position of the Bolsheviks and undermine the opposition. However, Trotsky’s strict organisation and centralised control were instrumental in helping the Red Army to defeat the counter-revolutionary forces. After the civil war, the Bolsheviks faced a split between Lenin and Trotsky factions. Trotsky wanted trade unions to be controlled by the state in the form of quasi-military discipline. But, Lenin opposed this ‘factionalism’ and Trotsky was outvoted. Although Trotsky was a popular figure amongst the rank and file, his independent and prickly approach increasingly rankled with leading figures in the party. In 1922 and 1923, Lenin had three strokes, and his health deteriorated. As number two in the party, Trotsky was the clear candidate to succeed Lenin. However, Stalin, Zinoviev and Lev Kamenev formed a troika to try and stop Trotsky. Stalin, in particular, used his newly created powers of patronage to appoint supporters to key positions and undermine Trotsky. Lenin, despite previous differences with Trotsky, was concerned over the split of the party and rise of Stalin; as a consequence, he offered to support Trotsky and prevent a split. Lenin particularly opposed Stalin’s approach to forcibly integrate outlying republics, such as Georgia into the new Soviet Union. Lenin’s last testament offered explicit support for Trotsky, but Lenin’s ill health meant even the founding figure of the Russian revolution was now increasingly sidelined. Lenin’s death in 1924, increased the power struggle between Trotsky and Stalin. Stalin increasingly gained control over the party organisation and began a propaganda campaign accusing Trotsky of being a Menshevik illegal faction and undermining his past record for the party. Throughout 1925 and 1926, Trotsky vainly tried to attack the leadership and provide an alternative approach. Stalin’s response was to increase official denunciation and disseminate anti-semitic smears. Trotsky was expelled from the Politburo in October 1926 and a year later (with Zinovyev) was expelled from the party. Trotsky argued that under Stalin, the Soviet Union had become a degenerated worker state undermined by political repression. In Russia, Stalinist repression deepened culminating with the show trials and purges of 1936-38. In absentia, Trotsky was convicted of treason, though the evidence was fabricated. Even in exile in Mexico, Trotsky remained a thorn in the side of Stalin, who abhorred any potential rival to his power. In May 1940, men armed with machine guns attacked his house, but Trotsky survived. Three months later, a Spanish Communist, Ramon Mercader, fatally struck him with an ice pick. Trotsky died from his injuries a day later on 21 August 1940. The Soviet government denied responsibility, and Mercader was sentenced to 20 years in jail. “For forty-three years of my conscious life I have remained a revolutionist; for forty-two of them I have fought under the banner of Marxism. If I had to begin all over again I would of course try to avoid this or that mistake, but the main course of my life would remain unchanged. I shall die a proletarian revolutionist, a Marxist, a dialectical materialist, and, consequently, an irreconcilable atheist. My faith in the communist future of mankind is not less ardent, indeed it is firmer today, than it was in the days of my youth. Jewish People – Famous Jewish people, including prophets, philosophers, musicians and writers. Includes Moses, Prophet Abraham, Baruch Spinoza, Karl Marx and Yehudi Menuhin.